There are two (2) ways to enter. It’s that EASY! Don’t forget to double your chances by following both via email and twitter. Enter now! Do you already follow Bookish Devices via email or twitter? Congratulations, you’re automatically entered! Congrats to our winner, Ardette S! Giveaway ends Friday, April 22 at NOON EST. Open to **US residents only** and is void in any state, county, city, municipality, or any other area where it may be prohibited or in any area where our rules do not meet the local laws regulating contests and giveaways. Winners will be chosen at random and contacted by Monday, April 25, 2016. Winners have **48 hours** to respond before a new winner is selected. Bookish Devices is not responsible for misdirected or lost emails, entries, Facebook messages, tweets, and/or any other forms of communication. Please note that Facebook, Twitter, WordPress, Instagram, Amazon, are not responsible for fulfilling the prizes. 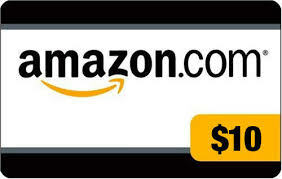 The gift card will be sent directly from Jennifer, Co-Blogger/Reviewer at Bookish Devices. This giveaway is in no way sponsored, endorsed or administered by, or associated with Facebook, Twitter, WordPress, Instagram, or Amazon. You understand that you are providing your information to Bookish Devices alone. We do not share or sell information and will use any information only for the purpose of contacting the winner.